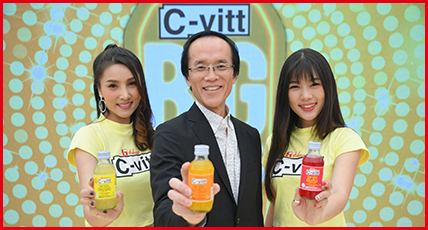 with a focus on running to fight colds with C-vitt beverages. It took place at Bang Krajao, Bangkok's Green Lung in Samut Prakarn, led by DJ Push, the super hot, healthy and fit actor, on Saturday, 19 December 2015. 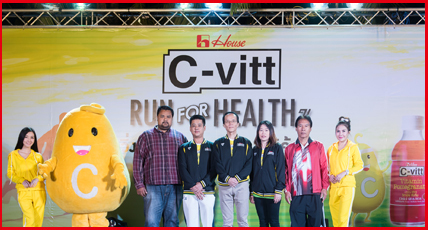 House Osotspa Foods Co., Ltd., led by Mr. Chihiro Kurata, President, hosted the special “Run for Health with C-vitt" activities. 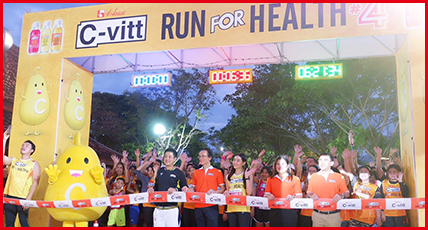 The day marked the 2nd time that C-vitt has hosted a run-for-health event that promotes the good health of everyone in the family. This year saw the collaboration with the Department of Women's Affairs and Family Institutions of the Ministry of Social Development and Human Security. The event encompassed a mini-half marathon in Bang Krajao district of Samut Prakarn province, known as Bangkok's Green Lung for its high ozone content, among the highest levels in Asia. 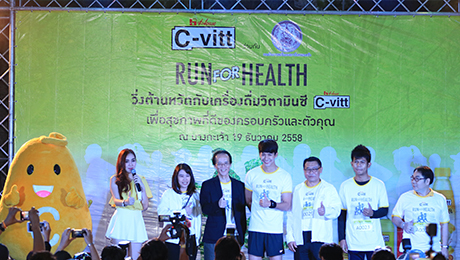 Activities organized by C-vitt involved DJ Push Puttichai Kasetsin, a handsome, fresh-faced actor with a fit physique, leading the runners. Mr. Chihiro Kurata, President of House Osotspa Foods Co., Ltd., said, "The aim of our company is to promote good health among Thai people through a simple and convenient format and the consumption of a quality product with many benefits. 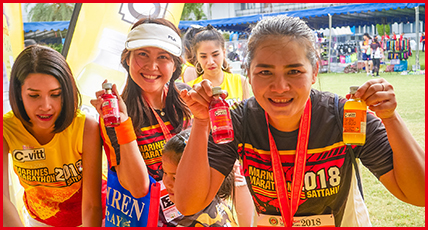 The goal of hosting this running event is to raise awareness among the Thai people about the importance of regularly looking after their health and knowing how to choose foods and beverages with vitamin C content that help boost their immune systems. C-vitt is one such beverage, with 200% the recommended daily dose of vitamin C or the equivalent of the vitamin C content of 6 fresh lemons, helping to build up immunity in the body to fight against catching colds easily. Also, the company donated a portion of the proceeds from the day's activities to charity." 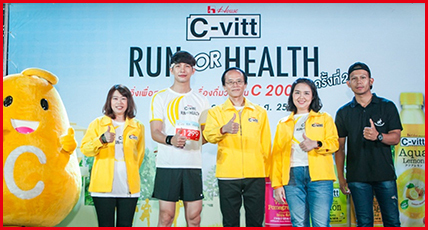 Miss Nilawan Tilayuwat, Senior Sales and Marketing Manager, House Ostospa Foods Co., Ltd., said, "The special quality of this Run for Health against colds with C-vitt vitamin C drink is that our company has chosen activities and a venue that is most suitable for a run for health. Runners get to take in oxygen and natural ozone in the morning for a good distance of 10.5 kilometers or a mini-half marathon. The start and end points are at Sri Nakhon Khuean Khan Park and Botanic Gardens that span over 200 rai in the verdant Bang Krajao, not far from Bangkok, surrounded by the Chao Phraya River. 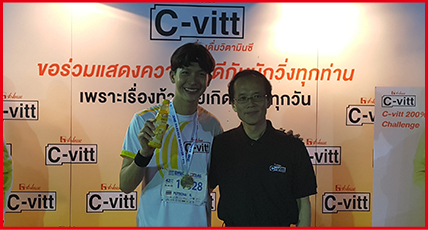 Throughout the event and race route, the company provided the C-vitt drink, to boost health, strengthen the body and enhance the immune system as well as add refreshment for the event participants. 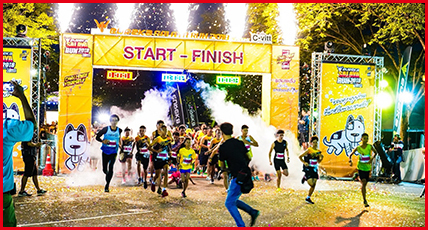 To add vibrancy and fun to the run, the company invited DJ Push Puttichai Kasetsin, a hot, fresh-faced actor with a firm and fit body, to conduct the warm up and lead the runners. Also, DJ Push revealed his secret for clear skin and good health with regular vitamin C intake. And the company will continue to develop health products and host activities that promote health, in order to keep imparting good physical and mental wellbeing among the Thai people." Boost immunity, increase strength for the body every day with regular exercise, a good diet, sufficient rest, and drinking C-vitt, a beverage with 200% vitamin C content and a great taste. It can be taken daily. 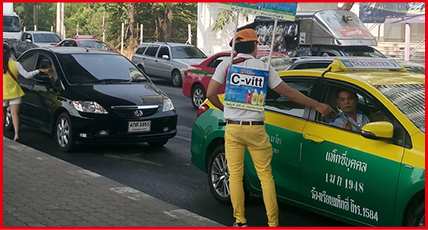 Find it at 7-Eleven and other convenience stores near your home as well as at supermarkets throughout the country.